If you already have a Chase Sapphire card, or just like to fly Southwest, a Southwest Rapid Rewards credit card from Chase is definitely worth adding to your wallet, especially as the airline prepares to launch flights to Hawaii. Let’s cut to the chase: the signup bonus is the main reason to get one of these cards. All three of them will net you a 40,000 Rapid Reward points signup bonus after you spend $1,000 in the first three months, which is a lot of points for not a lot of spend. Those Rapid Rewards points that can be used on any seat on any Southwest flight at a rate of roughly 1.3-1.5 cents per point. Reward flights can be changed or canceled as many times as you want with no fee, and if you change your flight to a cheaper one, you’ll even get a prorated points refund. And of course, your first two checked bags are free, which you won’t find on any other domestic airline. Unfortunately, a recent change in policy means that you can only get one sign-up bonus between the three cards every 24 months, and you can only carry one at a time, so you can’t combine them for a quick 80,000 or 120,000 point top-up. Beyond that hefty signup bonus and the membership anniversary bonuses, the Premier and Plus cards don’t offer much of anything in the way of travel benefits, which isn’t surprising given Southwest’s status as a budget airline. Southwest does sometimes mail free drink coupons to cardholders, but it’s not an “official” benefit. This deficiency was addressed in the Priority card, which includes 20% cash back on in-flight purchases, four A1-15 boarding position upgrades every year, and a $75 annual travel credit. Compared to other airlines’ top-tier cards, it’s still a pretty thin catalog of bonuses, but it’s something. 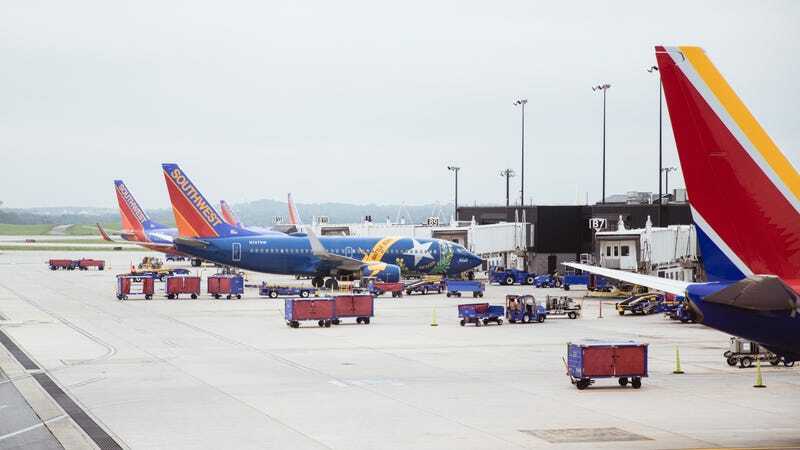 As far as points go, you’ll earn two points per dollar on Southwest purchases, and one point on all other purchases, which is a pretty paltry slate. But since Chase Sapphire Preferred and Reserve owners can transfer Ultimate Rewards points directly to Southwest, you can leverage your other Chase cards’ bonus categories to increase your earning potential. For example, using your Sapphire Reserve card on Southwest.com would net you three points per dollar (one point better than Southwest’s offering), all of which could be deposited into your Rapid Rewards account on demand. However, all points earned with a Southwest credit card do count towards Southwest’s incredible Companion Pass benefit, which lets you bring a designated companion with you on any Southwest flight for free (save for taxes and fees). You’ll need to earn 110,000 qualifying points to earn the pass, but your signup bonus counts, which can knock out a huge chunk. Just remember that the counter resets every year on January 1, so plan accordingly. Whichever card you choose, it might not be one that you want to use a ton, but that sign-up bonus is pretty sweet, especially considering the relatively low $1,000 minimum spending requirement. If you play your cards right, you could definitely buy at least a couple of roundtrip flights with those 40,000 points alone, or fly even further by combining that bonus with Ultimate Rewards points that you earn from Chase’s Freedom and Sapphire lineups.